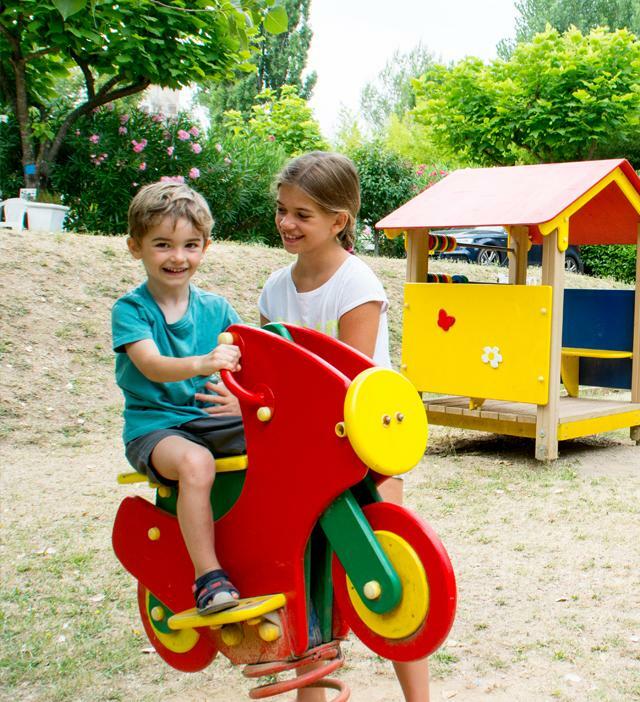 Even though Camping Les Fouguières favours peace and quiet for a restful holiday surrounded by nature, you’ll still find a few leisure facilities and summer activities. From 1 May to 30 September, the heated pool on site will become the ideal place to relax and enjoy a refreshing dip in the sunny climate of Var. After a few breaststrokes you can laze on one of the sunbeds and soak up the sun of the Provence! In between two dips at the pool, the badminton and volleyball field as well as the table tennis table will allow you be active and have fun. Children are not forgotten about! They can play at the play area and make holiday mates. Traditional activities like boules games will most likely be part of your stay. At the boules track, you’ll always find a friendly atmosphere! During the high season, the campsite will weekly organise a few family sports activities for all ages, without disturbing the peace of other holidaymakers. Every Wednesday night in summer, you and your family or friends can get together with campsite neighbours to enjoy an entertainment night or themed dinner.